As the question whether Kangana knows black magic or not popped up, the actor replied with a smirk, “Well, I know magic but since I am a brown girl so it has to be brown magic.” For those who didn’t get the context of the question, Adhyayan Suman whom Kangana dated for a short period while working on Raaz 2 claimed that his girlfriend aka Kangana did black magic on him at her residence. When asked if she knows how to cook, with a witty smile Kangana says, “I can but not without the blood.” No marks for guessing whom she was taking a dig at with her reply. 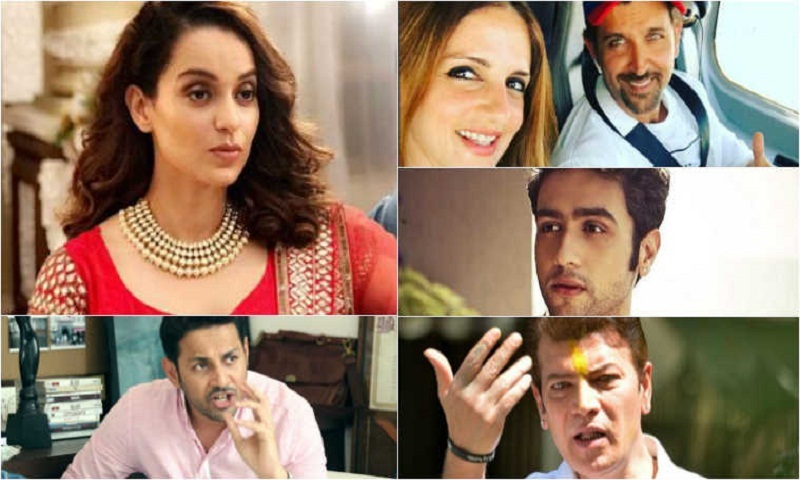 Shekhar Suman’s son Adhyayan accused Kangana of mixing menstrual blood in his food. It seems like internet users want to know a lot about Kangana as they google her phone number frequently. But to their disappointment, Kangana can’t give it to them. But yes, she wants to give someone else’s number who needs to be bothered with all the crank calls. Is it Hrithik Roshan you are hinting at Kangana? Apart from these, the actor revealed a lot about herself as she answered questions which even Google doesn’t know about her. From her fees for a film, name of her English tutor, her marriage plans to her drinking habits, the queen of sass had a reply for everything, reports The Indian Express.